Recently some of the best-selling games have been ones which require both good communication and careful consideration of your surroundings. If you want to be the best, you’re going to need a gaming headset that can provide you with the tools that you need to win. What a lot of people don’t realize is that gaming headsets are as unique as the person wearing them. They all come in different shapes and sizes, and you’ll have to find a gaming headset that complements your setup while fitting your budget. If you don’t know which headsets would be a good fit for you then don’t worry: we’ve researched some of the best gaming headsets on the market and we’re confident we can help you find one that’ will fit you like a glove. We’ve separated our top picks by category to make it easier for you to narrow your favorites down, but don’t worry if you’re working with a more limited budget – we’ve also found some of the headsets which give you the most bang for your buck. Of course, you don’t have to take our word for it; we’re confident that if you do some research yourself, you’ll find a lot of the products we’ve found come highly recommended. We wish choosing a gaming headset was as simple as just asking “which is best?”. But it really depends on what you value most: impressive audio quality, a crystal clear microphone, wireless connectivity, or just something that won’t hurt after a few hours of wear. Whatever you’re looking for, we’ve got you covered. 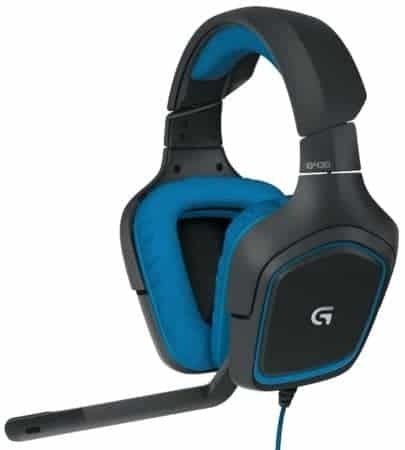 Gaming headsets offer good versatility, but not as good headphone and microphone quality compared to dedicated headphones and standalone microphone. If a gaming headset is what you’re looking for, then the HyperX Cloud Revolver S is what you will want. 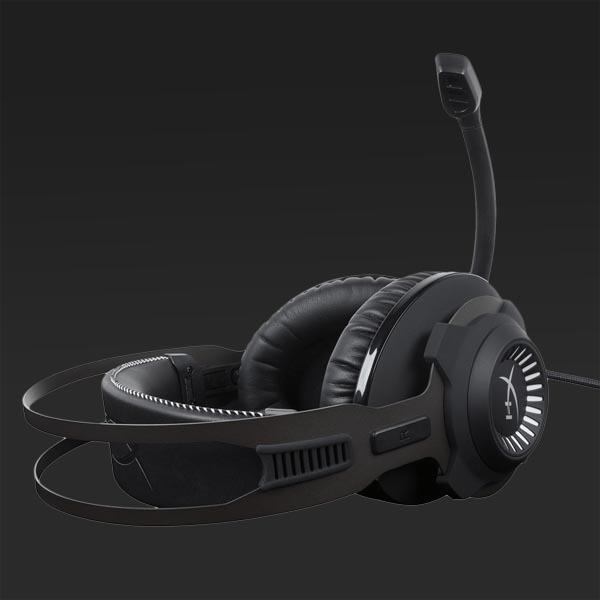 It’s well suited for PC, PS4 and XBOX gaming and it offers virtual surround sound so you can hear those footsteps better in games like CS:GO and PUBG. Take a look at the table below: in it, you’ll find the gaming headsets that we consider the best for each category in April 2019. Before we begin, there’s something you should know about gaming headsets. In terms of pure recording and audio quality, they are often less effective than a separate combination of a microphone and headphones. 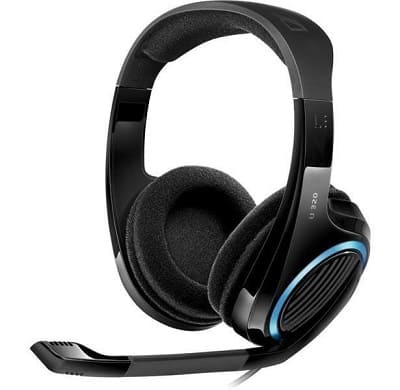 However, headsets offer greater portability, better noise cancellation (if you don’t have a dedicated mic stand), and often have separate volume sliders that are easy to adjust in a hurry, so they’re great for gaming. They’re also usually far less expensive than a high-quality pair of headphones alone, so unless you’re looking for the highest audio quality possible, a gaming headset is probably a good choice. 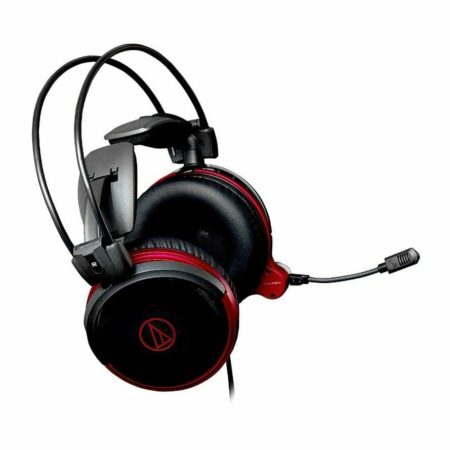 How do you know if a gaming headset is good or not? Well, there are a number of things you can look out for which give you some indication of their quality. Firstly, take a look at their construction: what are they made of? There are usually a couple of different audio specifications listed alongside a gaming headset. It isn’t always obvious what these mean though, so let us explain. The first main specification you’ll see is frequency response. This gets pretty technical, but simply put, the frequency response refers to the range of sounds a headset can produce clearly. A wider frequency response doesn’t necessarily mean better audio quality, though, as most humans can only hear sounds in the 20Hz-20kHz range. To make things more complicated, different headsets with the same frequency range can have different sound profiles and may sound completely different. This is why it’s important to always test a headset yourself before purchase if possible. The next specification is driver diameter. This will be listed in millimeters, and generally speaking, the larger the driver, the more “oomph” your audio will have. With a good sound profile, large drivers are capable of producing stronger bass, but the importance of this specification is often overstated. There are many other things which all play a part in contributing to the audio quality, so don’t buy a headset based on the mindset that bigger is always better. You should also try to find a headset that has a microphone with noise cancellation abilities. This helps to cover up unnecessary noises like the clack of your keyboard whilst making sure your teammates can hear your every word. A lot of people think that because they have an earpiece on either side of their head, they can listen in surround sound. This just isn’t true, but some headsets do come with 7.1 virtual surround sound technology built in. This can really help you gain an edge in competitive games since you can hear exactly where a sound is coming from, giving you a couple of extra seconds to prepare for an enemy. If you’re prepared to spend a lot of money on a headset, there’s no reason to buy one without 7.1 virtual surround sound. It will not only help you out in-game, but can help you immerse yourself into any movies or videos you watch too: in short, it’s a win-win scenario. So you’ve done a little research and you’ve found that most of the highly recommended headsets have names like “Black Phantom Stealth Razor” and cost hundreds of dollars. Take a deep breath, we’ve got you covered. We’ve found three fantastic gaming headsets that cost less than $50 that we think will fit your needs (and your budget) nicely. 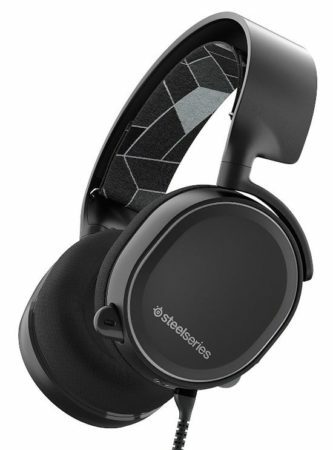 The first is the SADES A60, a classic black and white headset with sleek, curved edges and a price tag of less than $30. 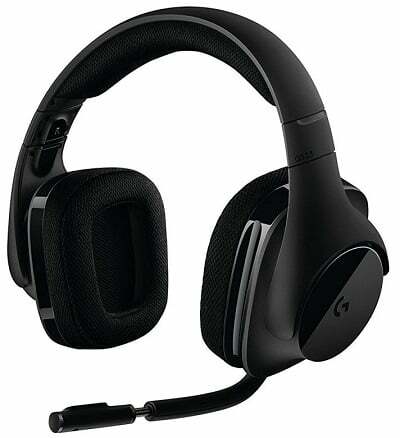 It has leather padded earcups, so it’s comfortable to wear for extended periods of time, plus its microphone is grounded. This reduces the crackling noise that occurs when adjusting the mic’s angle. The sound quality on this headset is impressive given how little it costs: there’s a good balance between bass and treble, plus they’re noise canceling so you can concentrate on the game instead of the other things in your room. As this model is so inexpensive, there are some compromises that have to be made. Unfortunately, it doesn’t work with consoles, but it’s plug and play for all home PC systems. Additionally, it uses simulated 7.1 surround instead of the real thing. This isn’t wholly unexpected, but it is something you should know before you make the purchase. If you have a little more room in your budget, you might want to consider the Logitech G430. 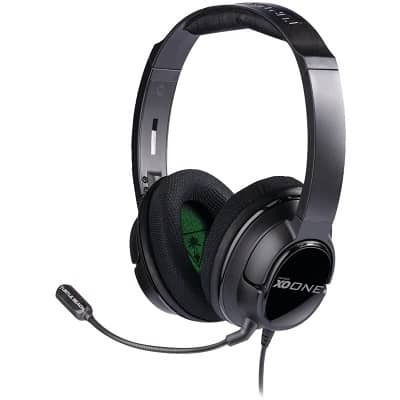 It’s a favorite among gamers as it provides a good balance between audio and microphone quality, price, and comfort. The earcups can swivel, and they’re padded with sports cloth, so they’re very comfortable, plus this headset offers 7.1 surround sound. The only issue with this headset is its lack of presets – the audio sounds decent, but there’s a real lack of emphasis at both ends of the spectrum. As such, you’ll have to adjust your equalizer to fit the game you’re playing every time. 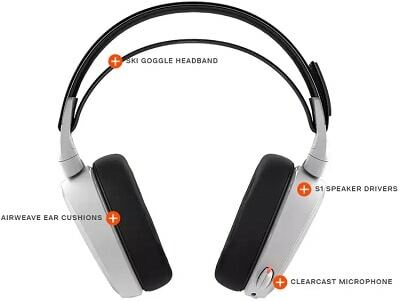 rtable to wear thanks to its padded leather headband and cushioned swiveling earcups. We really liked that it has three volume sliders instead of just two: there’s one for game volume, chat volume, and bass boost. All of these headsets have a frequency response of 20Hz-20kHz, but we found that the SADES A60 had the most balanced sound profile, while the XO tended to favor the bass a little too much. 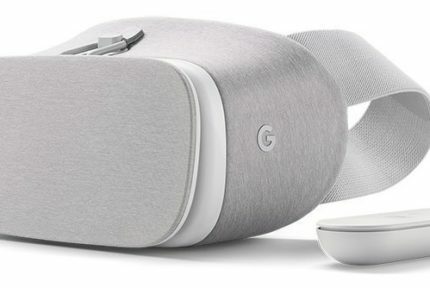 Virtual reality is a hot topic right now and the prices of the hardware that can run it are beginning to come down. However, VR headsets tend to be very bulky and this can prevent you from wearing many of the gaming headsets on the market at the same time. You don’t have to worry, though: to counter this, we’ve found two of the best gaming headsets for VR and we promise that they won’t let you down. The first is the Turtle Beach Stealth 350VR. This is a lightweight and flexible headset that can fit over even the largest VR headsets. It has a noise-canceling microphone and allows you to turn on mic monitoring mode to get set up properly. It also offers an audio amplification mode – this can be combined with the bass boost for when you want things to get really loud, but be warned: with this product’s virtual surround sound, you might find this to be a little overwhelming. One of the most surprising things about this model is just how little it costs. It’s available for less than $60, partially due to its rather barebones construction. However, this is what allows it to fit around a large headset, so it should be seen as a plus rather than a negative. We also really like the SteelSeries Arctis 3. This is a particularly comfortable headset thanks to its sports fabric-based construction and a wide headband. It provides sound stage level audio which is made all the more impressive by its 7.1 surround sound. We found that the microphone did a decent job of blocking out external noise, and the fact that you can move it out of the way when not in use is great. Of course, what’s the point of having good headphones if you can’t use them on different platforms? The Arctis 3 is designed to work on any hardware that has a 3.5mm headphone jack. Of course, using the headset in this way does limit you a bit – for best results, connect it to your PC and use the SteelSeries engine software to create and customize equalizer presets for every situation. Considering this gaming headset fits nice and snug around a large VR headset without being too tight, its sub-$80 price makes it very attractive indeed. Of course, you can have a headset which provides the best sound quality in the world – you’re still not going to use it if it starts to hurt after an hour or so. With that in mind, we’ve found two of the most comfortable gaming headsets available right now. The first is the GAME ONE from Sennheiser. This is a company known for its high-quality headphones, and for good reason. The GAME ONE features a rich sound profile that sounds great whether you’re using the headset for games or music, but its main shortcoming is its lack of surround sound. You can still simulate this with a good sound card, but it’s just not the same. This is a headset that you can wear all day, though. The earcups are made of breathable velvet and the headband is padded and adjustable for maximum comfort. The whole unit is very lightweight too, which reduces neck strain during prolonged sessions. If you like to play team-based games, you’re in luck: the microphone on this model not only cancels external noise but also offers crystal clear, distortion-free voice chat. Next up, we have the SteelSeries Arctis 7. This is a little different from the other headsets we’ve seen so far in that it’s wireless. It has a very simple construction, and this helps to decrease the overall weight of the product. The headband is simply a padded elastic strap. This makes finding the perfect fit nice and easy and ensures that the earcups create a good seal without pressing too hard on the side of your head. We really liked the microphone in this headset. Rather than being permanently fixed, it slides in and out of one of the headset’s earcups. This allows you to move the mic out of the way when you aren’t using it. If we had to find a flaw, it’d be that the mic is a little short and picks up audio from multiple directions. It does come with noise canceling tech built in, but there’s a small amount of additional noise transmitted as a result. The controls aren’t on an inline cable, either. Rather, they’re positioned at the rear of the left-hand earcup. When you first put the headset on, this is a little disconcerting but after a few games changing the volume and muting the mic become second nature. Better still, this headset can be paired with a cell phone to be used as everyday headphones. They have a great battery life and since the mic is retractable, it’s not blatantly obvious that it’s a gaming headset. We all know the struggle: with an advanced gaming setup, it’s already hard enough to keep yourself from accidentally rolling your chair over cables. Best case scenario, you get a bit annoyed. Worst case, you unplug something important right at a crucial moment. What if you could remove that possibility? With a wireless gaming headset, you can. Don’t worry if your budget won’t quite accommodate the SteelSeries Arctis 7. We’ve found two fantastic wireless headsets that are a little less expensive while equally attractive. 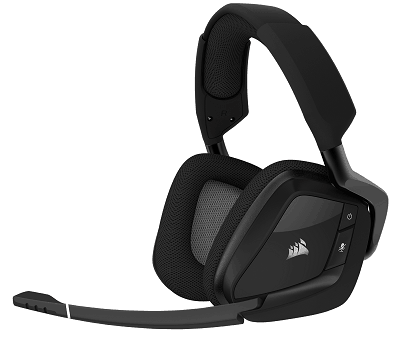 The first is the CORSAIR VOID PRO. This is a headset that has quality at its very core: it uses simulated 7.1 surround sound to help immerse you in a game and has memory foam earcups to allow you to play for as long as you’d like. There’s even RGB lighting on the side of each earcup for a little added “wow” factor. More useful is the red LED at the end of the microphone which tells you when the mic is muted. There’s a final light which lets you know if the battery is running low, but in all likelihood, you won’t see this too often since it boasts a battery life of up to 16 hours. This means that even if you’re running an exhaustingly long Twitch stream, you won’t have to worry about it dying unexpectedly. 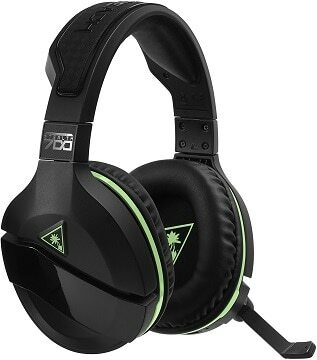 We also like the Turtle Beach Stealth 700. This is a product which offers the high-quality audio Turtle Beach fans know and love while combining it with the added versatility of a wireless headset. It has a good solid sound profile, with high-pitched sounds coming through sharp and clear and a great mid-range. It also includes the much-beloved Superhuman Hearing tech. This lets you boost the volume of quiet noises to give you a clearer understanding of what’s going on around you. It does come with a caveat – it makes everything very loud, so it’s a feature you’ll probably want to use sparingly. The microphone on this model is exceptional. It can either increase or decrease the volume of your voice based on how close it is to your mouth, providing a more consistent experience and preventing you from deafening your squad mates. This headset uses a USB connection which has means you can use it on Xbox as well as PC (though not PS4, unfortunately) and offers 15 hours of usage from a single three-hour charge, which is fantastic. In short, this model offers everything you’d expect from a mid-budget gaming headset and more. If you’re looking to break into the world of streaming, there’s one thing that will kill your aspirations as dead as the dodo: a low-quality microphone. Nobody is going to sit and watch you play games if they can’t hear you over the background noise in your room. The Astro A50 prevents this from happening. It comes with a high-quality microphone, ample padding on the headband and earcups, and even DOLBY 7.1 surround sound to give you that competitive edge. But that’s not all, we haven’t even mentioned the best parts yet. This is a headset which comes in two variants to cater to every need. 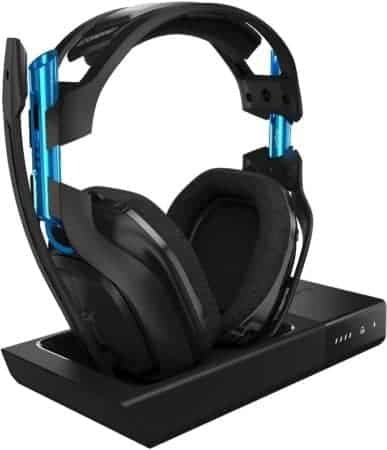 There’s a gorgeous black and blue one, compatible with PC and PS4, or one with a slick green and black color scheme which works with PC and Xbox. In a market packed full of single platform headsets, seeing one which supports both consoles and PC equally is a breath of fresh air. Both of these variants are completely wireless for increased ease of use – no mess, no stress. The Astro A50 has a good battery life too, with up to 15 hours of use on a single charge. There’s very little chance of your other wireless devices interfering with this headset, as it uses 5.8GHz signals while other products tend to use a far lower frequency. The sound quality on this model is excellent. It has a very balanced sound profile which delivers solid bass without neglecting the higher tones, plus it has three EQ presets just in case you’d like to mix things up. Now, this is a serious headset, and as such, it costs more than many of its competitors. It’s priced at around $300 and we know this is steep, but if you take care of it, it’ll take care of you for years to come. You’ve probably noticed that most of our top picks have been primarily targeted at an audience of PC gamers. 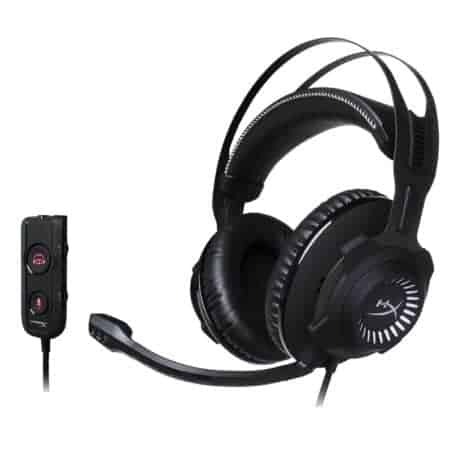 This is because most gaming headsets make use of the greater flexibility that advanced sound cards provide, however, there are several high-quality headsets available for traditional home games consoles too. 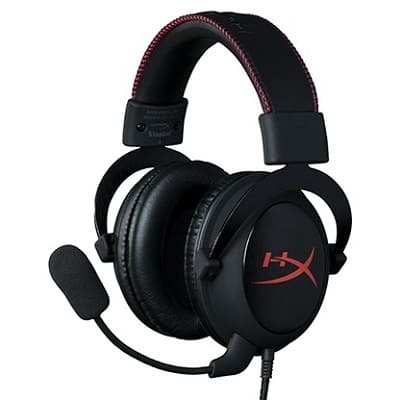 Take the HyperX Cloud II, for example. It uses its own sound card to provide a fantastic audio experience on PS4, Xbox One, and Nintendo Switch. This built-in software also allows its detachable microphone to cancel both external noise and any echoing that might occur as you talk. It’s super comfortable too, thanks to its memory foam earcup padding and velour spares. Now, while this headset only supports 7.1 virtual surround sound on PC, it’s still great for console use thanks to its well-balanced sound profile and large 53mm drivers. This means that you can hear every gunshot, footstep, and musical score exactly as the designers intended and further enhances the sense of immersion you’ll feel when you boot up your favorite game. It even has a slightly better frequency response than some PC only headsets; this model can accurately produce audio in the 15Hz-25kHz range as opposed to just 20Hz-20kHz. 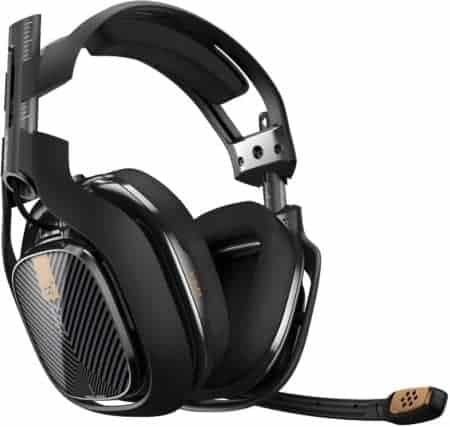 Next up, we have the ASTRO Gaming A40. Now, this headset really is something special. It retails for a little under $150 but justifies this higher price with increased versatility. Not only can it provide 7.1 virtual surround sound on PC, but on consoles too, thanks to its included audio mixer. This mixer also allows you to tailor your audio output to fit the situation: more bass for action games, more treble for cutscenes, and so on. One of the things we liked most about this headset is its customisability. It can be adjusted to fit using its sliding headband mechanism, but you can also switch out the earcup panels in case the standard appearance just doesn’t do it for you. You can even leave them off if you’d like a more open-ear aesthetic. The earcup padding is made from a soft-touch material which minimizes the amount of sweating you do during an extended session and again, this can be swapped out if you’d prefer. The built-in microphone is decent and provides good audio transmission, however, it doesn’t cancel noise as well as we’d like. The mic can be swapped to the left or right sides of the headset, or even replaced entirely with something a bit more robust, depending on personal preference. Here’s the thing about gaming headsets: you’re going to be wearing them for a long time, over the course of weeks or months. When you’re in a game they become part of you, and if there’s something about them that annoys you, it’s going to slightly sour your experience. For this reason, we’ve found two gaming headsets which allow for a wide range of customization. The first is the Logitech G533. These cost around $100 but come with Dolby 7.1 surround sound and an audio quality usually only found in much more expensive models. They’re wireless, with a range of up to 15 meters, and better still, you can swap the battery out for longer sessions. The noise-canceling microphone can be folded out of the way when not in use and as an added bonus, it automatically mutes in this position. There’s an easy access volume dial on the side of one of the earcups, and you can use Logitech’s software to tune the equalizer until you get it just right. One of the best things about this product is its versatility: as well as being able to adjust the microphone, sidetone, and surround sound levels, you can also program the mute button to do other things – even pause your music, if you’d like. 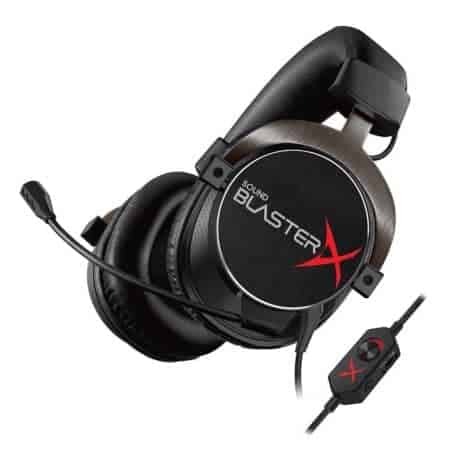 Next up we have the Creative Sound BlasterX H5. 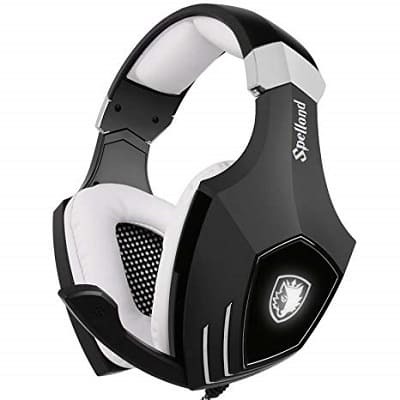 These are designed for use in professional gaming tournaments and unsurprisingly, they hold up very well. They include 50mm drivers and true 7.1 surround sound which really helps to make you feel as though you are in the game. 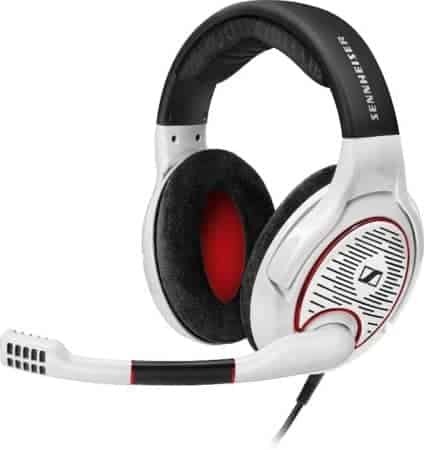 They also have a pretty good microphone – tournaments are often very loud, but the noise cancellation takes care of most of the external sound. The leather earcups are replaceable, the headband is adjustable, and there’s even a decent inline controller, although the thing which has the biggest impact is yet to come. This model provides excellent audio quality straight out of the box, but it can be further enhanced using the Sound Blaster software for Windows. You don’t even have to put much effort in – it comes with presets for some of the most popular games available today. Both of these products have a fairly standard 20Hz – 20kHz frequency response, but we’d say that the Logitech sounds better overall. Its Pro G drivers allow for a nice, crisp sound across the entire spectrum, although at lower volumes bass-heavy tracks do lose a lot of their punch. When it comes to gaming headsets, most people think that it’s the audio that’s most important. However, while sound quality does play a large part, it’s not going to help you communicate with the other people on your team as well as a good microphone would. To help you out on that front, we’ve found a couple of headsets which are all about the mic. 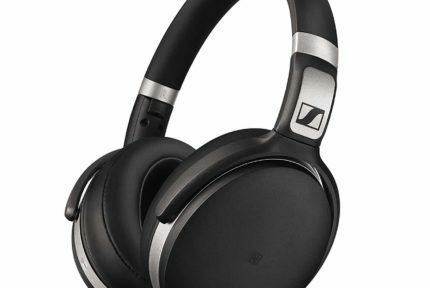 They’re both from Sennheiser, which should come as no surprise seeing they’ve come to be known as one of the best headphone manufacturers. 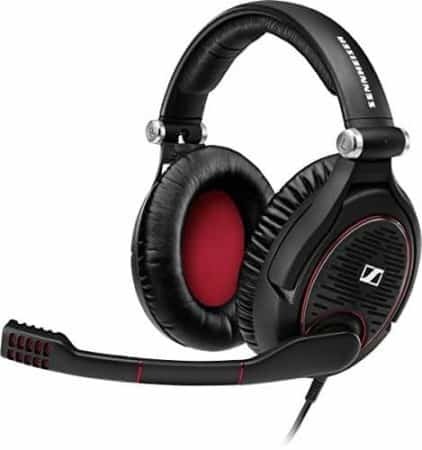 The Sennheiser U 320 is an incredibly versatile product, capable of being used both on PC and consoles. What’s interesting about this model is that it flexes in various places to conform to the shape of your head. Combined with the open design and soft foam padding, the Sennheiser U 320 is a headset that’s comfortable to wear, even after several hours. The U 320 allows you to boost the bass level of all audio, and adjust the game volume independently from the chat volume. The microphone is professional quality – it can automatically cut out background noise, plus, when it automatically mutes itself when flipped upwards. If your teammates complain about mic noise, you can quickly switch to monitoring mode to try and troubleshoot the problem too, so it’s practical as well. The mic has a frequency response of 70Hz – 15kHz. We also really like the Sennheiser GAME ZERO. It doesn’t provide quite the same level of bass as the GAME ONE, but it does include an exceptional microphone. Your voice comes across very clearly thanks to its advanced noise cancellation technology, and as with the U 320, it mutes when flipped upwards and out of the way. This mic has a frequency response of 50Hz – 16kHz. The GAME ZERO is made to last, too. It comes with a braided cable that is more resilient to damage and helps to prevent any tangling. On top of that, it’s made of hard plastic and the padding in the earcups is scratch-resistant leatherette. This serves another purpose as well: it keeps the audio in and the world outside out. The GAME ZERO has the slightly better microphone, but costs around $50 more, so whether it’s worth it or not is for you to decide. Regardless, both of these headsets are fantastic in their own right and would make a great addition to any gamer’s arsenal. Everybody knows that looks aren’t everything, but they definitely help. Hardware aimed at gamers is too often gaudy, with big LEDs and an obnoxious color scheme, but there are products out there which give you the full headset experience without looking tacky. The first of our picks is the Audio-Technica ATH-AG1X. They have large, 53mm drivers that let you go as loud as you like, and an air damping system which helps to isolate you from outside noise. It’s very attractive, too with a black and cherry red aesthetic that lends it a timeless appeal. Not only is it visually stunning, but it’s comfortable too. It uses a 3D Wing Support system and a closed back design to deliver a tight seal without being painful to wear for long periods of time. The headband can’t be adjusted, although it is flexible: instead, each earcup has a distance slider on it which allows it to accommodate the largest or smallest users. There’s also a little gooseneck mic on the left-hand side – this is okay, but nothing exceptional with a frequency response of 100 – 12kHz. One of the best things about this model is that it’s compatible not just with PC, but with PS4, Xbox One, and anything else that has a 3.5mm headphone jack. 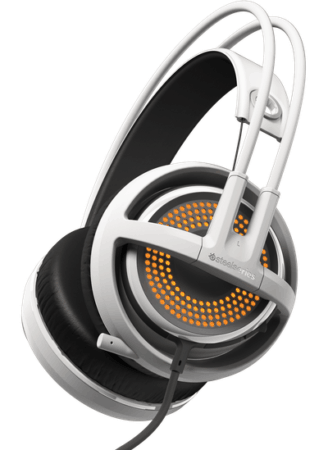 Another attractive headset is the SteelSeries Siberia 350. This comes in a range of five different colors and has subtle RGB illumination on each earcup that can be set to complement the color of the padding. This product offers both surround sound and powerful bass, so it’s not a bad choice for under $100. It uses a suspension headband to keep the overall weight of the unit down, but there’s ample reinforcement too, so it’s not as delicate as you might think. The sound profile is pretty well balanced, although if it’s not to your tastes you can switch things up with its dedicated software. Thanks to the thickness and circular shape of the ear padding, you’ll be able to experience in-game audio without being distracted by the noises in the rest of your home. The Audio-Technica model just wins out here thanks to its higher frequency response (15Hz – 35kHz), however as we’ve mentioned before, it’s always best to try them out for yourself if possible. Since this category is all about aesthetics, the best choice is the one that you like the look of most. It’s never easy to choose the best product from a list of excellent contenders, but someone has to do it. After careful consideration of what most gamers want, we’ve come to the conclusion that the best gaming headset of 2019 is the HyperX Cloud Revolver S.
This headset has everything you could ever ask for. It’s available for just under $150, it works with PC, PS4, Xbox One, and even the upgraded versions of these consoles, the Xbox One S and PS4 Pro. Better still, it offers 7.1 surround sound on all of these consoles – no small feat when you consider this is usually a PC only feature. It manages to provide this without the need for any additional drivers or software too as it’s simply “plug and play”. It’s a delight to wear, too. It features a wider headband which reduces the pressure on your head and when coupled with the memory foam earcup pads, this headset remains comfortable during even the longest gaming sessions. The frame is made of steel, so as well as being very comfortable, this product is also durable and likely to last a long time as long as you treat it right. But that isn’t all. It comes with a noise-canceling microphone that boasts crystal clear voice chat, and if you somehow find a better microphone, you can attach that instead. This model has one of the broadest frequency responses out of any of the products we’ve reviewed: a frankly ridiculous 12Hz-28kHz. This wide range coupled with the large 50mm drivers ensure that not only can you hear everything that’s going on around you in-game, but you might even be able to pick up on sounds that another headset wouldn’t have been able to reproduce. We’ve mentioned this before, but if you’re interested in getting the highest possible quality, you’d do well to get a separate, dedicated microphone and pair it with some really good headphones. Headsets do a good job at providing both of these, but you know the old phrase “jack of all trades, master of none”, right? 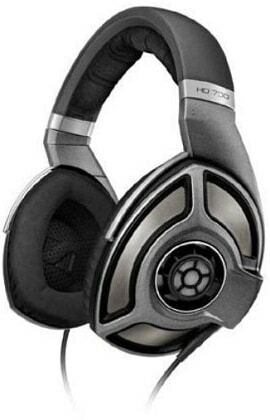 The headphones we’ve chosen are the Sennheiser HD 700. 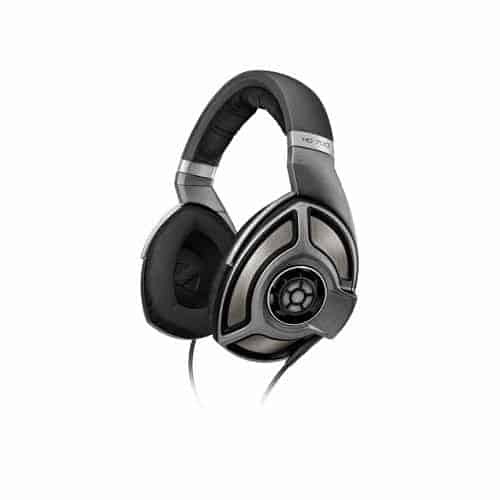 These are pretty expensive, it’s true, but they more than make up for this with their incredible sound quality. These headphones excel in the mid-range, but their treble is sharp and clean too. The bass is powerful, punchy, and strong enough to leave you fascinated. The audio is less warm than you might be expecting, but make no mistake, this actually enhances darker, heavier audio without compromising on poppy, upbeat tunes. 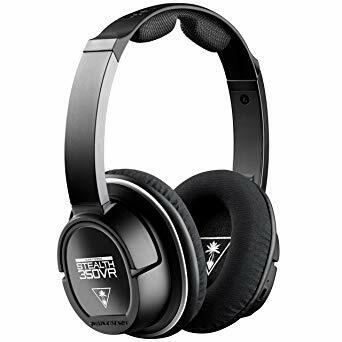 These headphones have an incredibly large frequency response: they can accurately recreate sounds in the 15Hz – 40kHz range – this absolutely dwarfs the size of many dedicated gaming headsets and is part of the reason why these headphones cost so much in the first place. We’ve decided to pair these headphones with a microphone that’s incredibly popular amongst podcasters, internet streamers, and audio aficionados. It’s called the Blue Yeti, and surprisingly, it has a fairly low price point. It’s on sale for around $130, but it has a lot to offer. Firstly, it has real-time headphone monitoring. This allows you to hear yourself as you talk, and while it’s a feature mostly used by musicians, it can help you perform some pre-stream tests and nail the exact sound you want. There’s a dial which allows you to adjust the amount of gain on the mic, but we’re not done yet. 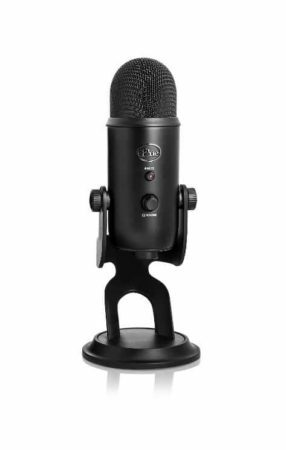 The Blue Yeti can record audio in one of four modes: cardioid, omnidirectional, bidirectional, or stereo. This is great for when you’re trying to pick up sound from everyone around a table, for example, and really adds to the versatility of this product. Now, we know this is a setup which requires quite a lot of money. Feel free to switch out the headphones if you like, since the Sennheiser HD 700s alone cost somewhere in the region of $300. For those who can squeeze these items into their budget, however, this combination will work wonders and allow you to experience the sound from your games like you never have before.